In celebration of National Inventor’s Day, we’re stepping back in time to honor a man who gave us one of the most ubiquitous, yet underappreciated, inventions of the 20th century: the dumpster. It’s quite hard for city dwellers of the 21st century to imagine streets lined with clumps of festering garbage. Yet for a good portion of the 19th century, and even the early 20th century, side-stepping piles of debris on the way to work was just part of city living. Photos published in “Harper’s Weekly” show the state of NYC streets before and after sanitation workers went to work. Of course, cities eventually realized that dumping garbage haphazardly was a pretty bad move for public health. That realization led to the first sanitation departments whose sole mission was to keep the streets clean and clear. But despite this huge advancement in waste management, the actual process of collecting garbage remained labor-intensive, requiring the work of several men and a horse-drawn cart (or a truck, if you were lucky enough to be born after the Model T). George Roby Dempster, inventor, entrepreneur and one-time mayor of Knoxville, had first-hand experience with the laborious process of hauling waste through his construction business, Dempster Brothers Inc. Applying his knowledge of heavy machinery, he was able to devise a more efficient way of collecting, transporting and disposing of debris: the dumpster. George Roby Dempster on the night of his election as Mayor of Knoxville, Nov. 16, 1951. When Dempster first put his creation to work in 1935, then trademarked as the “Dempster Dumpster”, he had intended to use it solely for his company’s own construction projects. Yet as his competitors learned of his invention, the company was soon inundated with orders. They received so many orders, in fact, that his company abandoned the construction industry altogether and pulled all their resources into manufacturing the Dempster Dumpster. Until Feb. 20, 2013, the AP Stylebook required the word “dumpster” to be capitalized as it is still a registered trademark. The original trademark registration certificate granted to Dempster Brothers Inc. for their eponymous “Dempster Dumpster”. What made the dumpster so disruptive? It reduced the amount of labor required to move debris by a whopping 75 percent. No longer did you need a team of sanitation workers shoveling dirt, garbage and other debris into a flat bed. With the Dempster Dumpster, all you needed was a single person to pick up the dumpster and haul it away. But the Dempster Dumpster (or Dempsey Dumpster, as some would later call it) was just the beginning of George’s quest to make the modern world just a bit neater. In the 1950s, his company introduced the “Dempster-Dumpmaster”, or what you and I know as the modern garbage truck. The Dumpmaster was the first commercially successful, front-loading garbage truck in the United States. 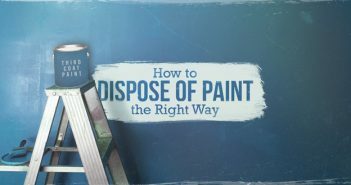 It completely eliminated the need for the driver to get out of the truck, as well as the need to physically haul the dumpster to a landfill. A single truck could now empty several dumpsters in between trips to the disposal point, dramatically increasing the speed and efficiency of garbage collection. 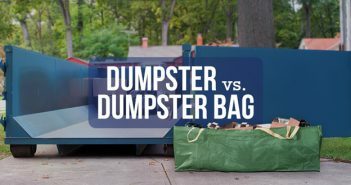 Jeff Wilson, professor of Environmental Science at Huston-Tillotson University in Austin, Texas, spent an entire year living inside a dumpster on the university’s campus. The Dempster-Dumpmaster became the standard design for every garbage truck that followed it. 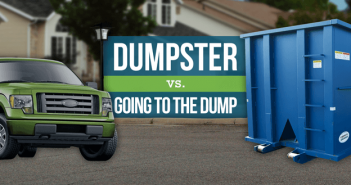 Other manufacturers over the years have tried to improve upon Dempster’s original system, designing dumpsters and trucks for both side and rear-loading. Yet try as they might, none have been able to create a more efficient system than Dempster’s. You can tell them all about Dempster’s contributions to waste management and how they helped make clean, modern living possible for the rest of us. Without his inventions, we’d still be side-stepping piles of garbage on our way to the corner coffee shop. Not to mention being deprived of one of the greatest expressions in the English language. When you go to take the trash out tomorrow morning, be sure to acknowledge one of the great unsung inventors of the 20th century: George Roby Dempster. I never actually thought the dumpster had to be created and imagined! LOL I guess I just thought they appeared out of thin air. Just kidding! But I really never have put too much thought into them! I wonder if I’m related? The above URL shows a Dempster Dumpster aboard a USS Ballistic Missile Submarine at Pearl Harbor.